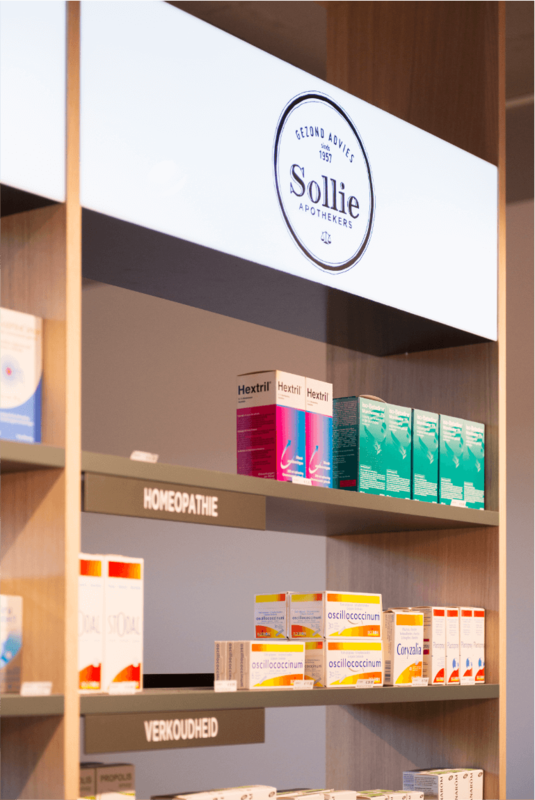 Sollie pharmacies are a widely known pharmacy group. 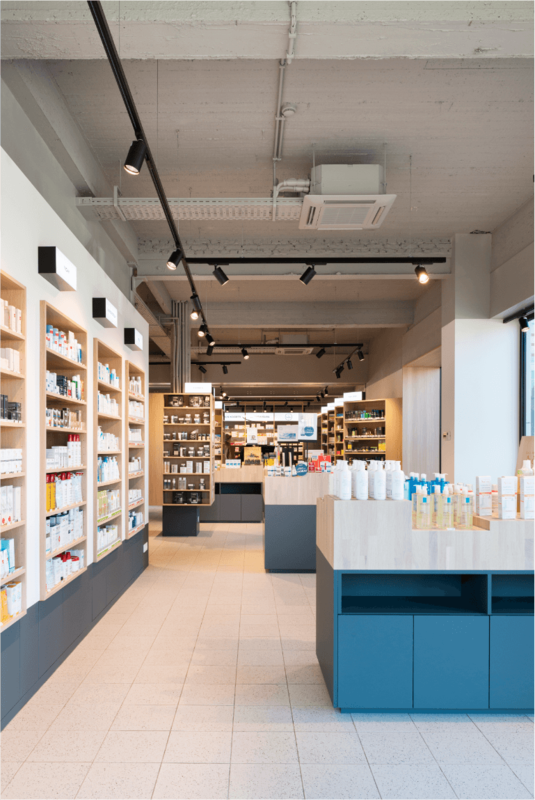 With 3 pharmacies in Antwerp, Kapellen and Wilrijk and their well-known homemade homeopathic products, they are an established institution. 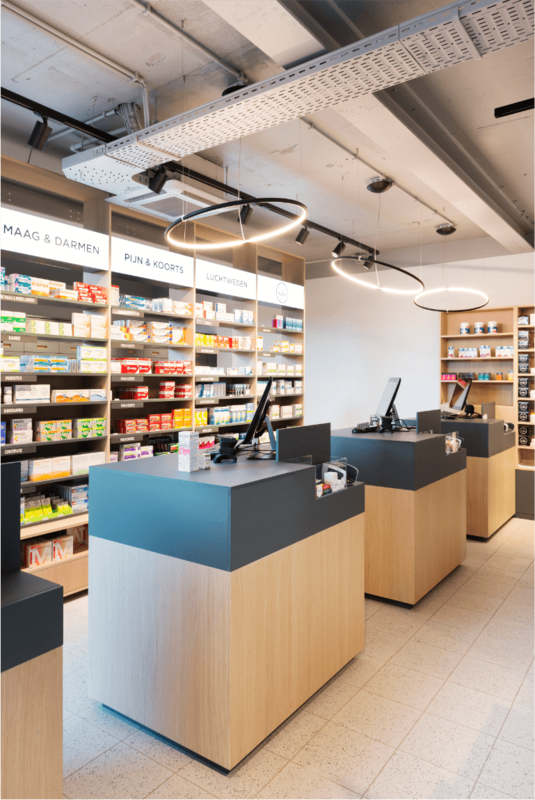 The owners wanted to renovate and expand their third pharmacy in Wilrijk so that it meets the modern vision of a future-oriented pharmacy. The concept translated into an unusual space with a retro edge. 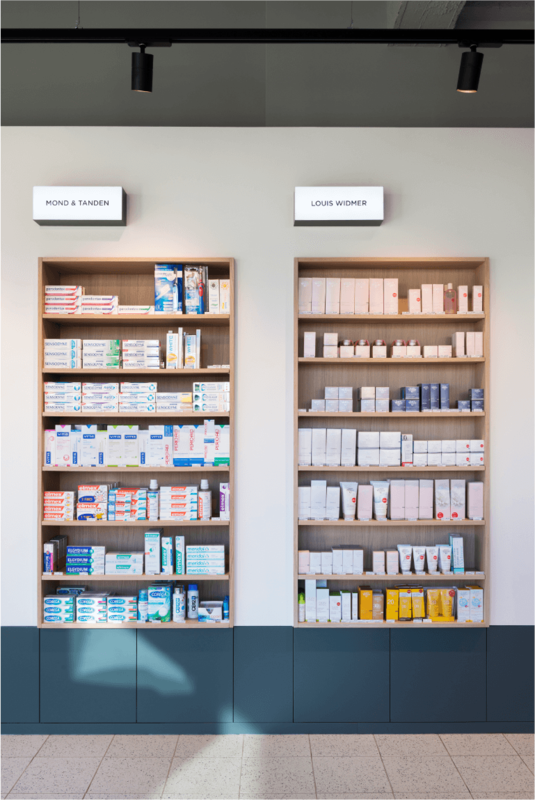 Thanks to the paneling in dark green "soft touch" laminate, which runs through the pharmacy and the furniture, the pharmacy radiates uniformity. 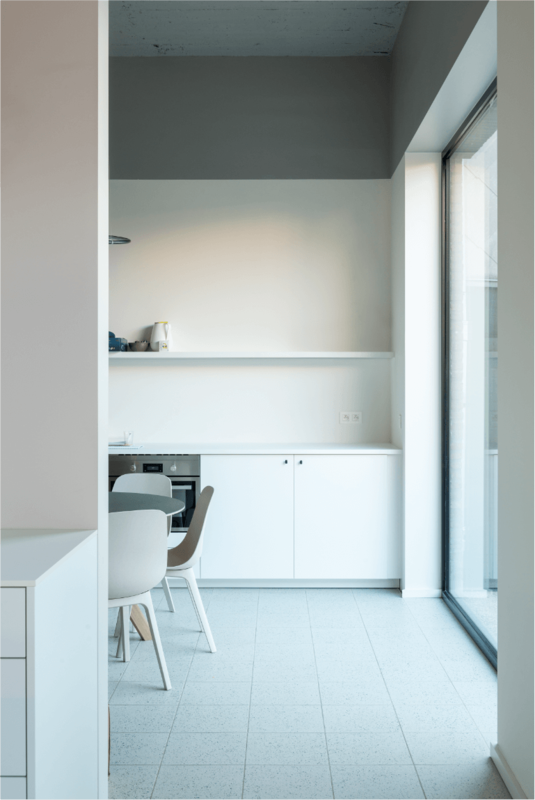 Cabinets that disappear into the wall give a sense of peace among the multitude of products. 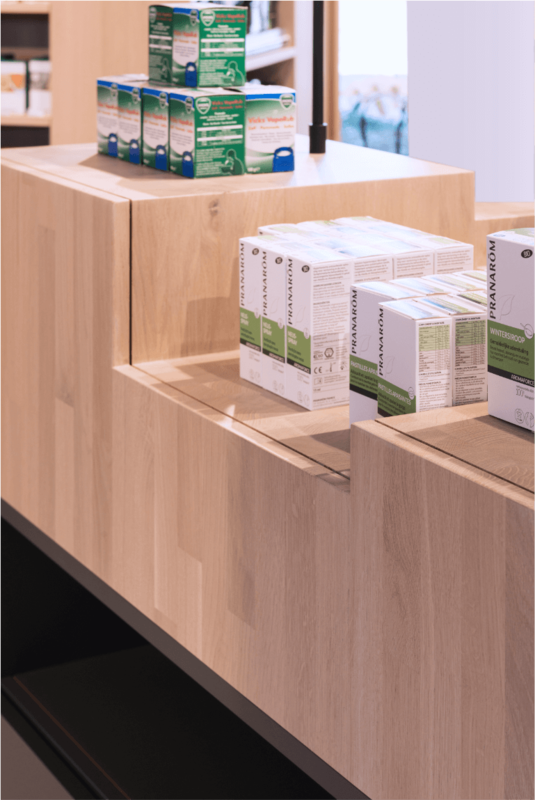 Tailor-made product displays that fill the gaps have an aesthetic but most importantly also a commercial impact. 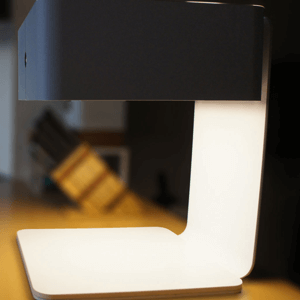 The different heights in the furniture ensure product differentiation and dynamics throughout the room. 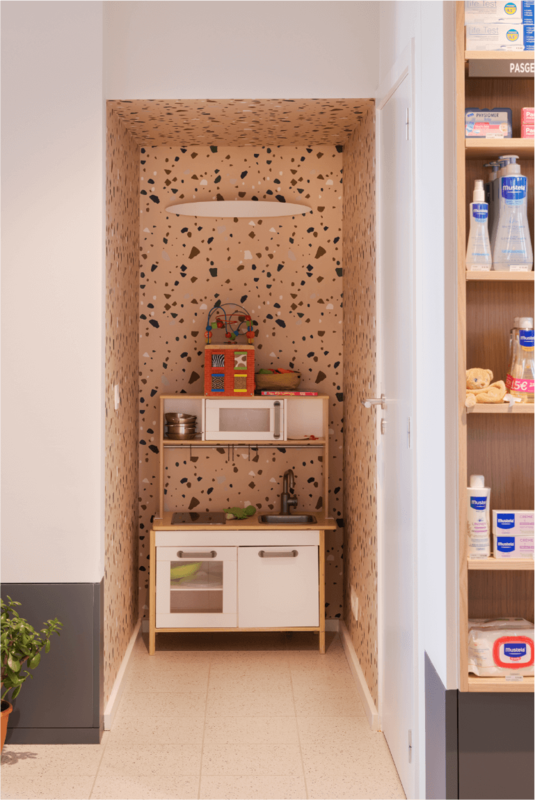 Since we wanted to keep the shelves in the cupboard as slim as possible, and we did not want to disfigure them with standard plastic communication, we provided custom-designed communication for each shelf. 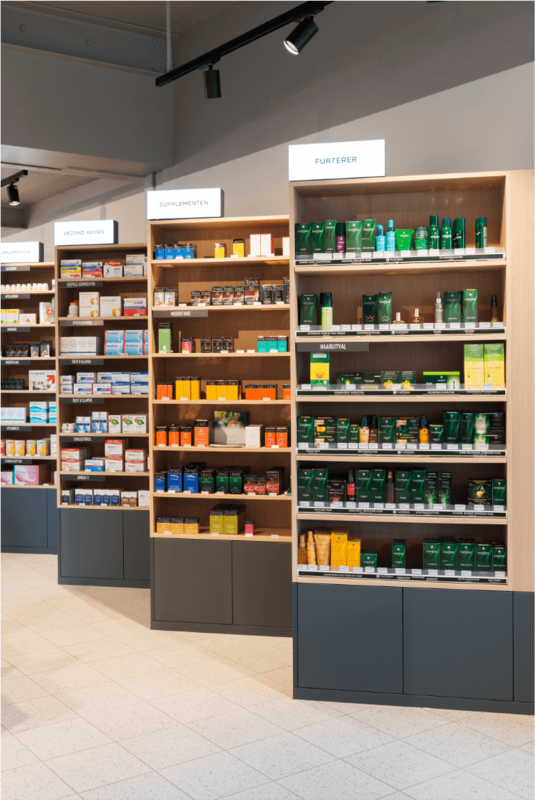 In this way, the aesthetic value is preserved and the pharmacist can communicate freely on each shelf. Floor-to-ceiling windows enlarge the pharmacy and provide plenty of daylight as well as a view of the simple but beautiful inner garden. 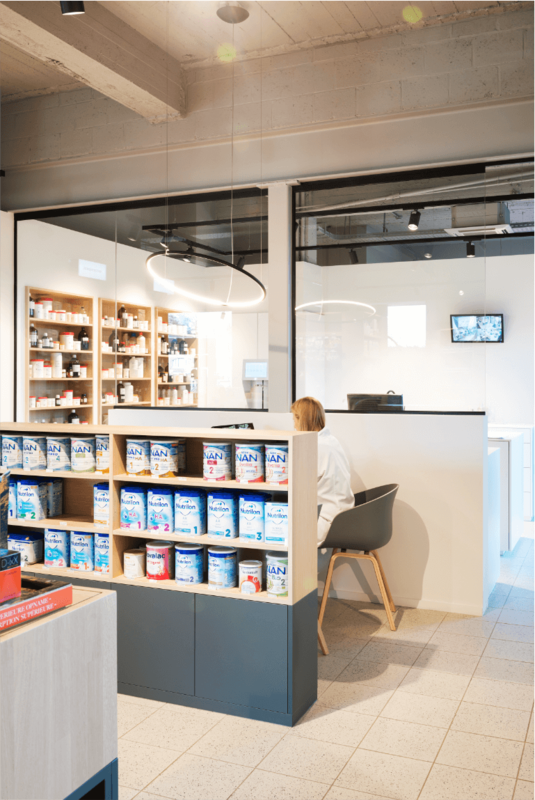 We also made the lab transparent, as a way to put the traditional work of the pharmacist in the spotlight, but also to use the views into the pharmacy as optimally as possible. 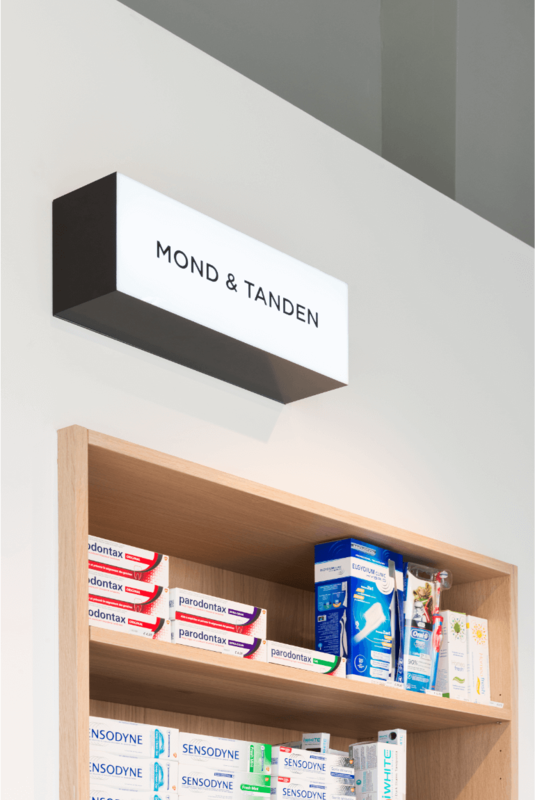 The use of veneer in the custom-made furnishings offers the pharmacy a unique, warm appearance and challenges the typical image of “the white sterile space” that usually dominates this sector. 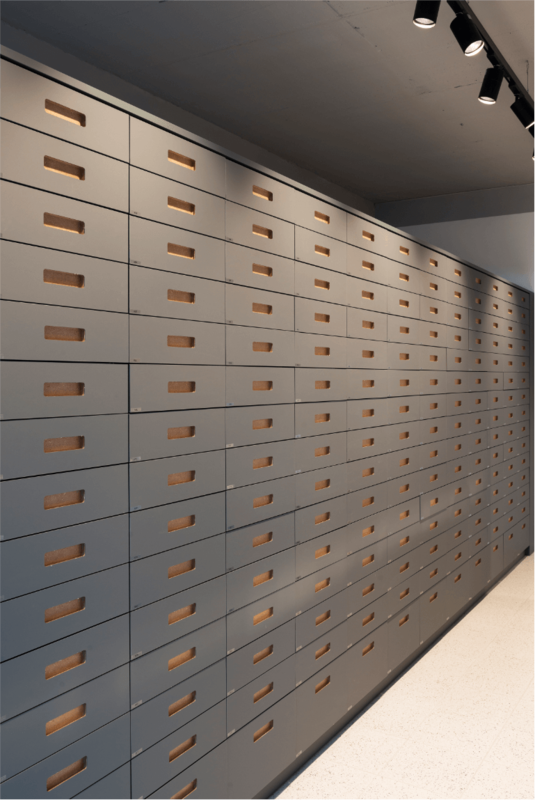 The slanted cabinets ensure that customers will walk right towards the products, so that they can immediately see which range is being offered. 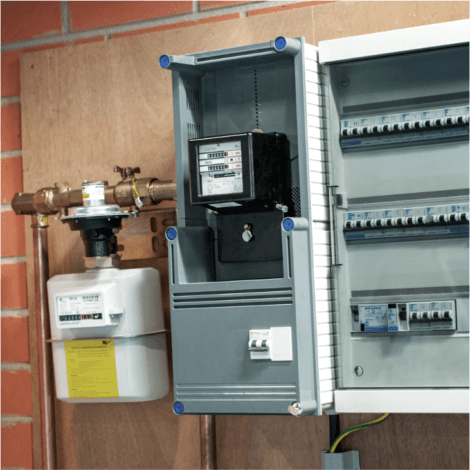 The part of the cupboard that is on the reverse side contains the stock and any remaining items from the previous range.